Sick of struggling with getting your hitters to hit the ball hard with more consistency? This is a simple 7-module online video mini-course that will help hitters weighing less than 100-pounds, hit the ball consistently over 300-feet in 60 days. You’ll be able to dramatically increase power without sacrificing swing quality. Type it on a computer keyboard. If the contest chairperson crowned the new minted millionaire to the fastest produced document, using one of the two aforementioned methods, which would you choose to compete? What if, to get ready for the contest, you were given 3 weeks to prepare and practice pacing your writing OR typing skills? Would this practice time make a dramatic difference on the speed of your writing skills? How about your typing skills? Which method do you think you’d make a bigger jump to compete with the best of the best? Remember, there are no separate categories in the contest. In other words, if you decide to write with pen and paper, you’re still competing with the fastest typers, not ONLY with writers. While efficiency is doing those things right. Choosing the right method to win the contest is huge. The fastest typer in the world can blow away the fastest writer, any day of the week. So, effectiveness in winning the million dollars would be choosing to compete as a typer. Then the next step would be to get really efficient at typing during the 3-week practice period. How does this metaphor relate to little league baseball batting tips and repeatable power? Smaller sluggers like Hank Aaron (6-foot, 180-pounds) have to be effective with their mechanics, in order to compete with bigger sluggers. Bigger sluggers get away with MURDER! A bent neck position at impact…NOT pre-loading the springy fascia in the body…OR thinking if we ‘load and explode the hips’, then all will take care of itself. These big slugger examples may seem like valuable little league baseball batting tips, but in reality, young hitters WILL be left with ineffective energy transfers, resulting in inferior results. Then why are we studying big sluggers like Albert Pujols, Bryce Harper, and Big Papi? Although these big sluggers do A LOT effectively with their mechanics, at least in the eyes of validated human movement science, BUT they get away with energy leaks most young hitters won’t be able to pull off. One of the best athletes to ever walk the earth is Michael Jordan. His short stint in the Minor Leagues never amounted to Major League time. He complained he couldn’t hit the curveball. And by the way, Michael Jordan would be considered a bigger slugger today at 6-feet, 6-inches tall. How about Arnold Schwarzenegger in his heyday using steroids during the 1970’s? Could he beat Jose Bautista or Josh Donaldson in a Major League home-run derby? It doesn’t matter how big a hitter is, or how athletic they are, or if they take PED’s. All can achieve repeatable power by using effective hitting mechanics. It’s a recipe anyone can follow. 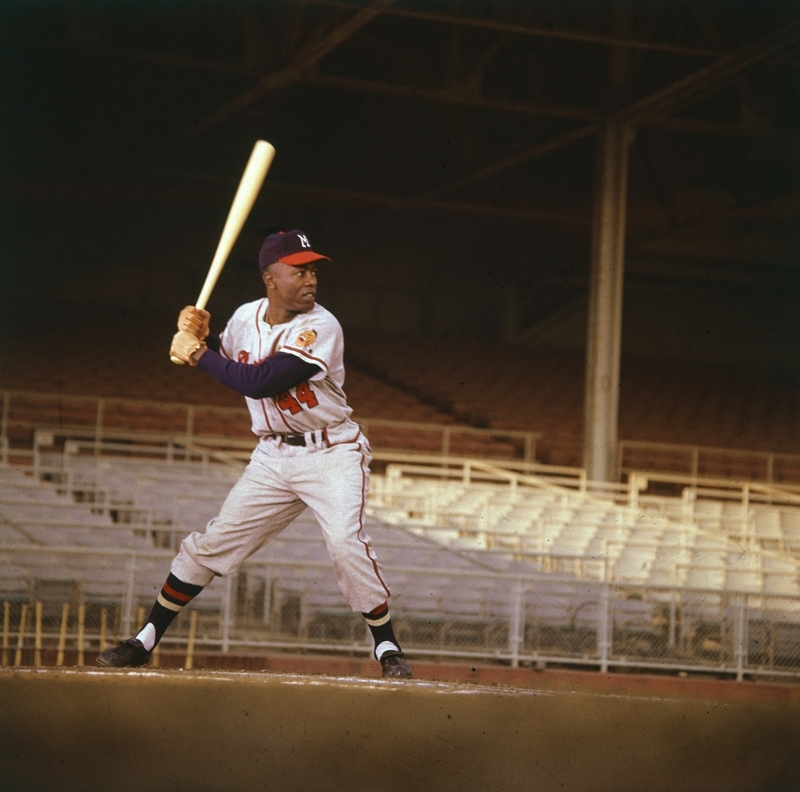 Sure, being more athletic is a component, but is not THE little league baseball batting tips method to hitting the ball consistently hard like Hank Aaron. Great point. I have to get your video. I’ve always told my players that size doesn’t matter,it’s not how hard you swing but how you swing.I’m working with a 9 year old who’s smashing 200′ shots and he’s still learning how to transfer his weight properly ⚾️?? Yay David!! How much does that 9yo weigh? I just love using my coach’s hitters as an example to those naysayers.